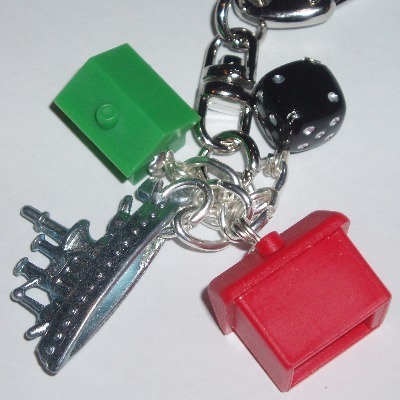 Fun and funky with a green house, red hotel, and black dice charm. Your choice of Hat. Car, Boot, Barrow, Iron, Dog, Thimble or Ship. Silver plated bag charm clip. Lots of fun and a must have for all Monopoly fans.